This is a throwback Thursday to my favorite look I work on our recent cruise! I mean I love the blue on blue aspect of this whole thing. When planning my looks for the cruise this was a definite, you know blue seas, blue outfit, you get it! Anyway this dress is from Forever 21 and I got it for a steal for under $20, and finished the look with these fun blue tinted aviators and my favorite summer wedges from Macy’s. We shot this look at the top of the ship in some of my favorite areas. I just love all the blue tons and the I just love how the whole look cam together. On a side note I have some great gift guides coming along with fun holiday looks and maybe even some recipes too! I can’t wait to share with you all! I have another fall look for y’all! 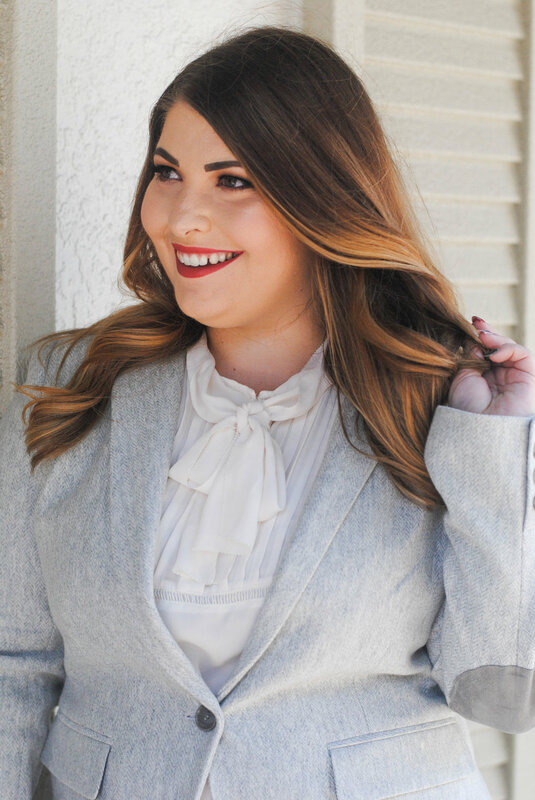 This one reminds me of horse back riding with the high neck and tie detail on the top and the blazer with chic elbow pads this look has all the details! This entire look is from Loft minus the shoes! These leggings are amazing, super comfy but also look more like pants than leggings, a big plus for the office! Again the top has fabulous details and can be worn with jeans for a more casual look. The blazer is a staple piece to have in your closet and this one is perfect especially for this Florida weather! It’s more of a sweater material but has the structure of a heavier jacket along with great details again would be great with jeans or even a skirt. These pieces are great investment pieces and great mix and match items which are worth every penny. For me personally I tend to sway more towards classic timeless pieces and only purchase a few trendy pieces because the classic pieces will always be in style and a better idea to invest in. What are your must have pieces in your closet? What do you invest in? Let me know! As promised I shot some fall looks for y’all even though it is still summer here in FL. I picked out some pieces that are super easy to wear and all interchangeable, plus very affordable for the most part! 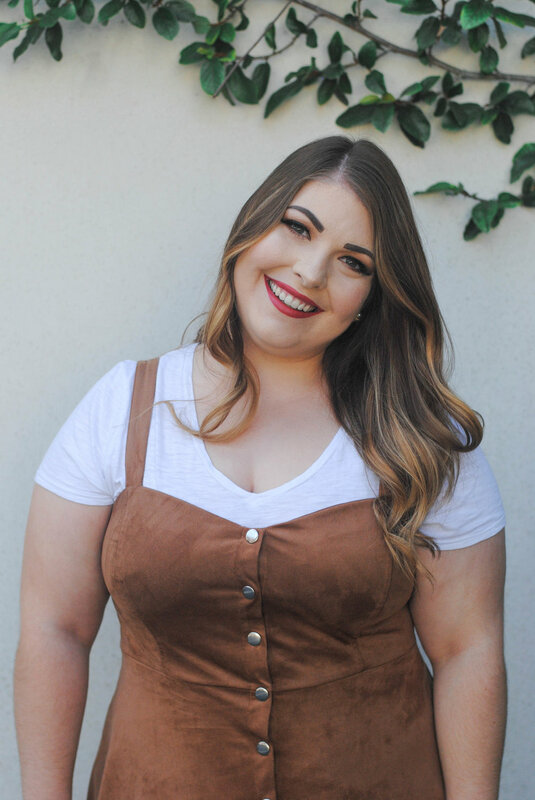 The first fall look I have for you is this super comfy and easy to wear suede dress from Forever 21 Plus, this is cute with this basic white t-shirt underneath from Old Navy and and booties and bag from Kohl’s. This look is very fall and still possible here in the sunshine state without getting to hot! However, if you live somewhere where it’s already getting cooler out this look would be super cute paired with tights and close-toed booties! 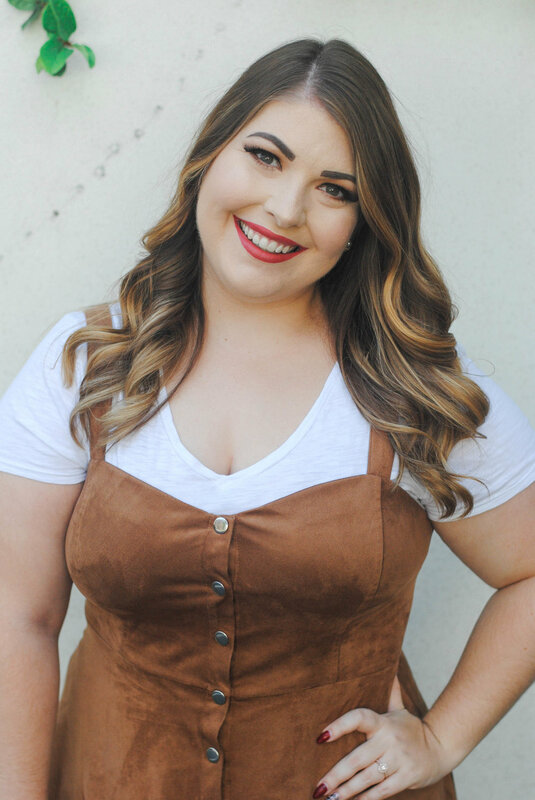 This whole look is under $75 is perfect to transition into the fall season! What are your favorite fall pieces? Must haves? Let me know in the comments below! We are half way through the week friends, yay! This week is a super busy one for me full of events and fun things! I wanted to share something fun with you that I had the opportunity to do yesterday. You all know how much I love Loft, I mean let’s be honest over half my closet is Loft but yesterday I had the chance to actually go into Loft at the Altamonte Mall and try on some of their new fun pieces for fall! Literally it was a dream come true to get to work with a brand I love so much! I had the honor of meeting some great girls and working with them last night to do a try on session, check it out on my IG stories @lifestyle_w_laramie! They were the sweetest people and so fun to work with! Literally so grateful I get opportunities to do things like this! So now on to this look, of course it’s Loft! This is a suit I got for our Vegas trip a few weeks ago and wanted to share it with you! I have never tried Loft swimsuits before and I ordered 3 for this trip! I loved EVERY SINGLE ONE OF THEM! I was totally surprised but I really did love the fit and cut of each one and they were perfect for my trip and trips to come! Anyways this one is so fun with the lace up detail and the fun colors I couldn’t pass it up! I paired it with some hot pink sunnies from Loft as well and sandals from Old Navy to top it off! The whole look is under $50 as you all know I love a good deal and got everything one sale, I had my eye on this suit for a long time! Loft is just literally perfect for the everyday woman and I just absolutely love shopping with them! Make sure to check out their current sale which is 40% EVERYTHING! As for everything else going on we are now into what I feel is my busiest time of year! I have some weddings I’m shooting in October and November. I’m planning my own wedding (I promise I will be writing a post about this soon). 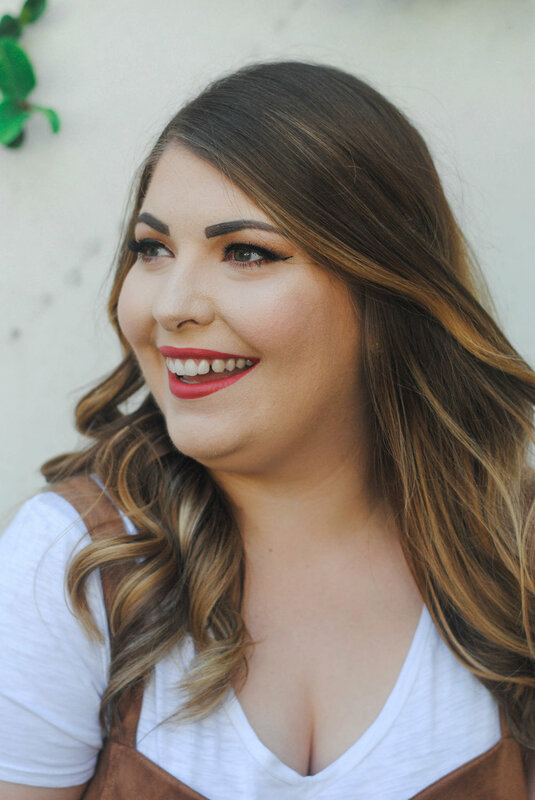 I have tons of blogger events to attend. Still work my 9-5 job and have a few trips lined up as well. Not to mention the holidays are coming! I mean really after Halloween is over you blink and it’s Christmas! This one is for my fellow curvy girls out there! If you're like me you grew up with Forever 21 being super popular. Well it still is but their sizing is on a whole other level sometimes. Depending on the type of fabric and style I could be a regular size large or a plus size 0, crazy right? Well until recently I didn't explore their plus size section because honestly their sizing had frustrated me in the past. I made a trip to the mall a few weeks ago and was amazed at the variety in the plus size section. I picked up a few dresses that I took to Vegas and below is one of them! My hats off to brands that are trying to be more size inclusive I'm a size 8/10 and even at that size it's hard to shop some places. Every woman no matter what size deserves to feel as though they can wear whatever they want and have options at any store! Anyways the dress was a steal at $12 from Forever 21 and the wedges are from Charlotte Russe for $15 it's the perfect easy outfit throw it on and go! I swapped out the wedges for sandals and that was worn on the plane home, yep that comfy! Happy Wednesday Everyone! It has been raining constantly here in FL so I've been soaking up the sun when I can and embracing those summer look just a little bit longer! This summer I've been living in rompers, shorts, and dresses because the heat has been unreal this summer! Rompers and jumpers are probably the easiest thing to wear in the summer just because that is your whole outfit! Throw on some cute sandals and fun accessories and call it a day! 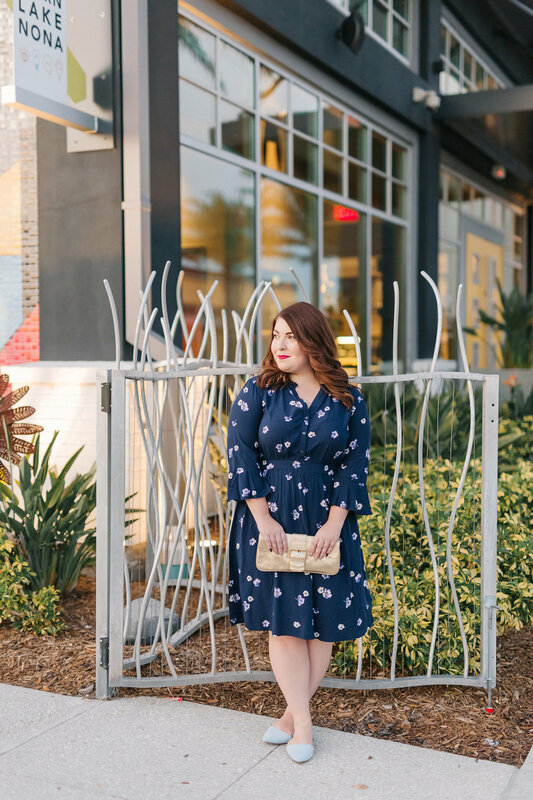 This floral number is of course from Old Navy, they really killed it this year with the floral prints and cute styles! I've worn this romper so much this summer, it was definitely one of my go to's. It is so comfortable yet you feel put together and it's just so easy! 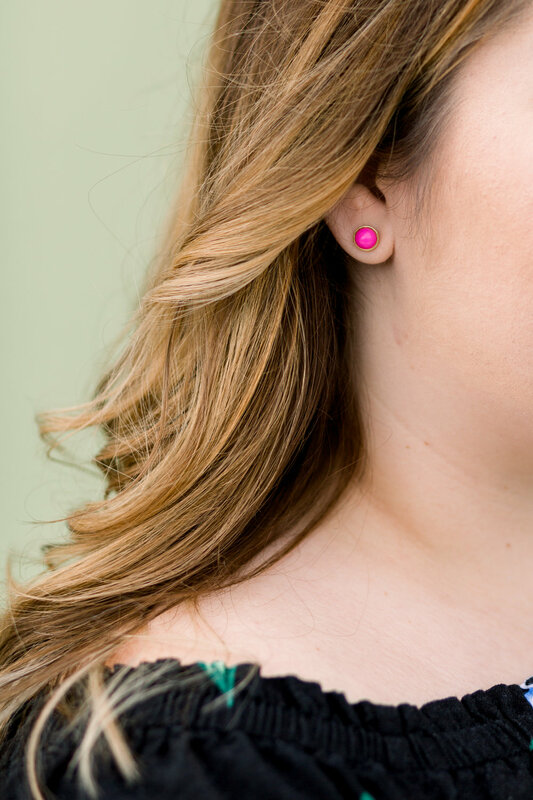 I mostly wear it with the accessories you see in the photos, my bright pink sandals also from Old Navy and my delicate pink studs are from Kate Spade. You all know I love a good statement piece but my tried and true jewelry is delicate and simple! We have some exciting trips that I can't wait to share with ya'll very soon! I also need ya'll to let me know if you want me to do more than one blog post a week, and if so what days? What are some other things you would like to see on the blog? I've been doing a lot of fashion lately but are you interested in beauty products or home decor? Let me know in the comments below! Happy Memorial Day Everyone! I hope ya'll have had a great weekend! We had such a great weekend hitting Hollywood Studios and Epcot for some fun since we recently became passholders, we are really trying to make the most of it! Also binge re-watched all of Season 2 of Riverdale because literally can not get enough of Bughead, anyone else? I just love the show and all the characters so much! Needless to say we had a fun weekend! Here's my favorite look of the summer T-shirt Shop Series! Perfect for the weekend and summer time here in Florida! I'm obsessed with the floral print shorts and graphic T and how perfect is the pool and palm trees? I live where you vacation and I am so grateful I live in the sunshine state! 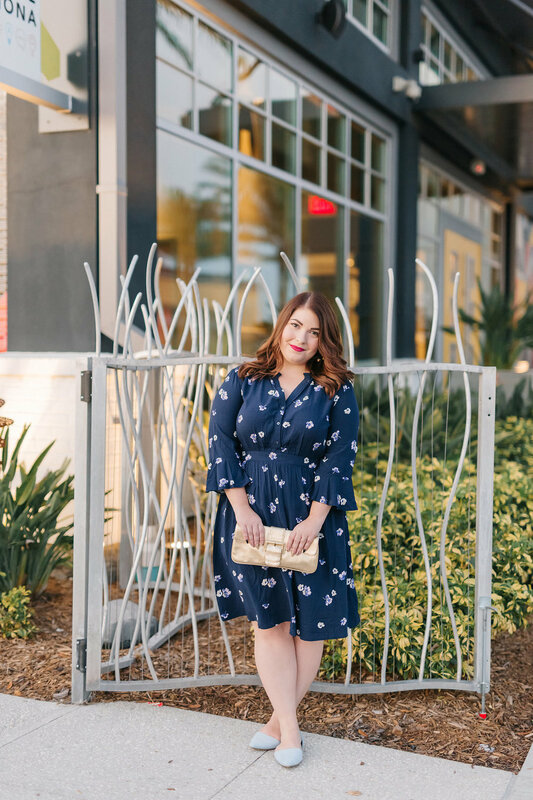 The look again is all Old Navy and super affordable and I love that all the pieces can easily be paired with other things! Hope you all have a great short work week! Let me know what you think about this look and if you want to see something specific on the blog! Happy Monday Y'all! Hope you had a fabulous weekend! I had a little me time getting a facial on Saturday and some amazing brunch yesterday for Sunday Funday with our favs, but you're here for the fun floral look below right?! This is another great option for Easter and for spring with the floral details and fun colors. This dress again is from Old Navy along with the baby blue flats! The bag is from Hobo International and I love it for going out or when you don't need to carry a big bulky bag. 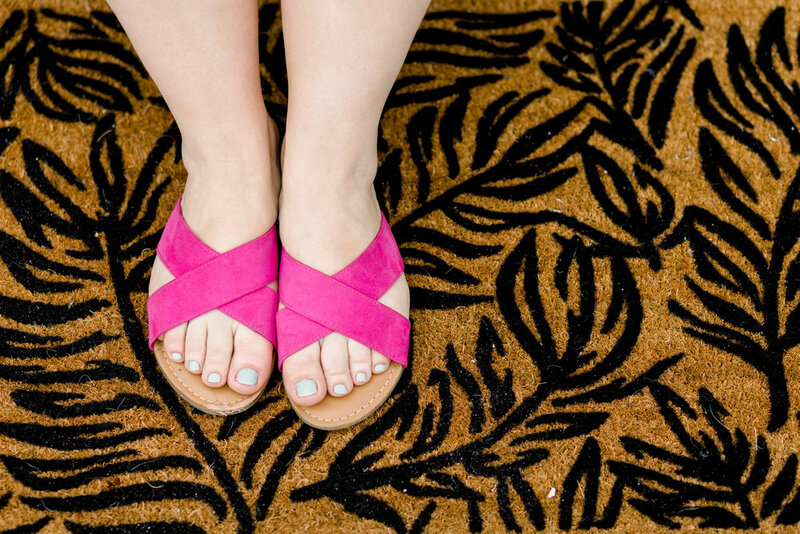 The flats come in tons of colors and are super comfortable, easy to wear at work and then out or traveling, simply versatile! I love this look and I hope you enjoy it! What are you doing for the holiday? Anything special? Let me know! Happy February Everyone! 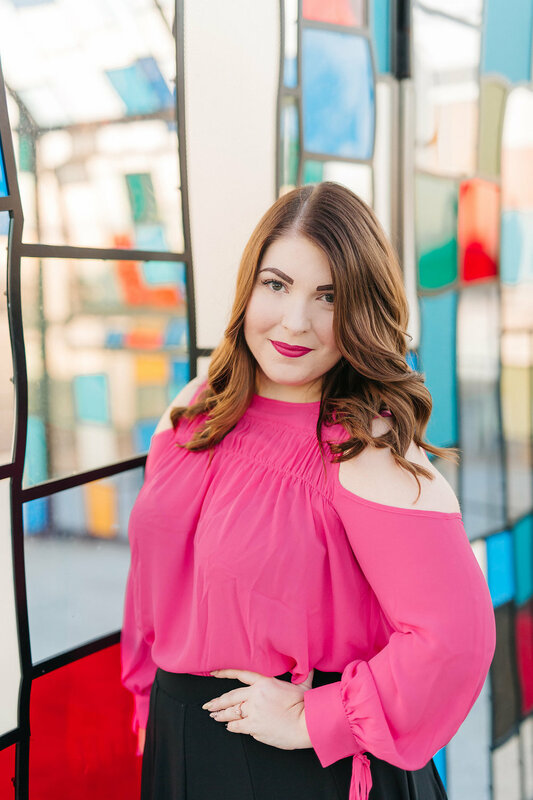 With Valentine's Day only weeks away I'm pulling together a few Valentine's looks for y'all! What better way to be festive than with a pop of pink! 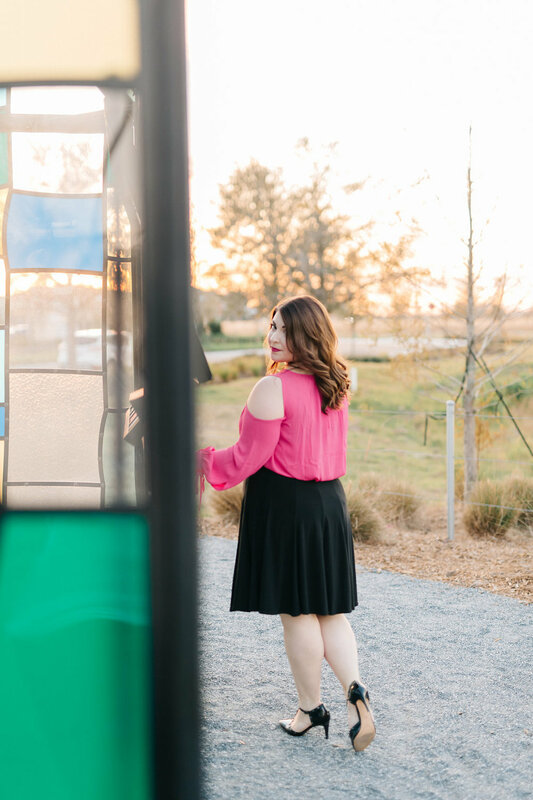 This is one of my favorite looks for Valentine's Day, it's perfect for the office or date night...or both! 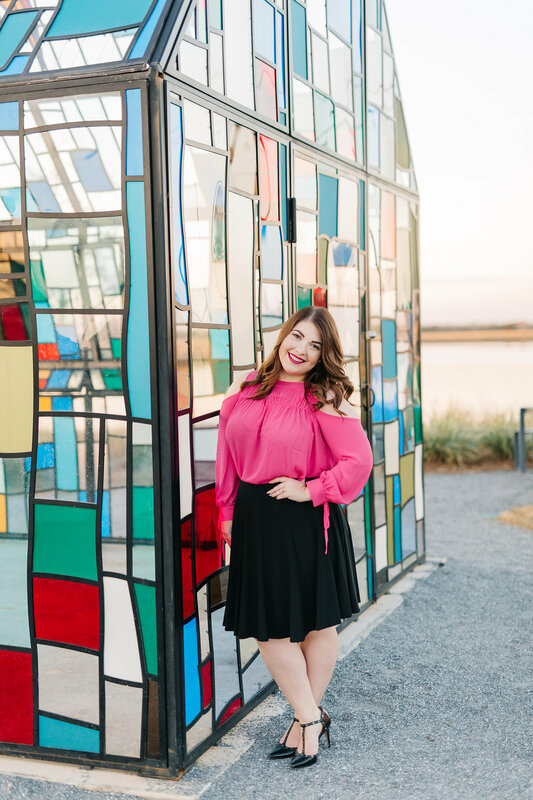 I'm loving the classic black flare skirt with the pop of pink and black t-strap heels! It's perfect for all my girls out there that don't want to be in your face Valentine's but still festive! If this is still to bold for you try just incorporate some accessories that are for the holiday! Maybe a heart necklace or pink or red bag, something along those lines would be perfect with a solid black dress or jeans and a top! What is your go to Valentine's look? Do you love the super girly look or like something less pink? Let me know below!